Next, you need to brush up on your skills with adding fractions with LIKE denominators. After you've gotten 6 problems correct in a row, come back to this page to see what to do NEXT! This is pretty challenging, you might need to use some notebook paper to do some calculations. After you've gotten 10 problems correct in a row, come back to this page to see what to do NEXT! Okay....you are EXPERTS on adding fractions...yippee! Next, let's compare some fractions to make sure that we're ready for the KITCHEN! After you've gotten 3 practice questions right, come back to this page and see what happens NOW! NOW...you're ready to create your product! The chefs know how to cook a meal or bake some goodies for 4 people. You can help them expand their knowledge so they can create larger recipes. 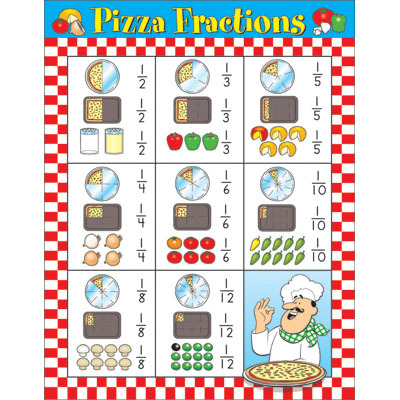 Use your expert knowledge of adding fractions and making equivalent fractions to help the chefs cater for larger groups...8, 12 or 16 people! I can't wait to read about and maybe even taste your delicious recipes! !